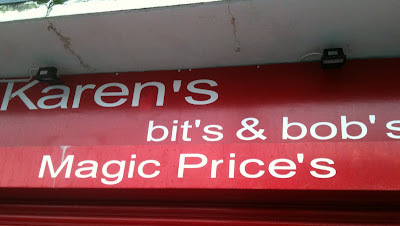 Intense depression as a result of their stores going out of business is the only explanation for this apostrophe catastrophe from Border's. Thanks to Lance for sending in this catastrophe. It's fitting that I'm posting his submission today because I met him at a Halloween party last year when he was dressed as Kim Jong Il. 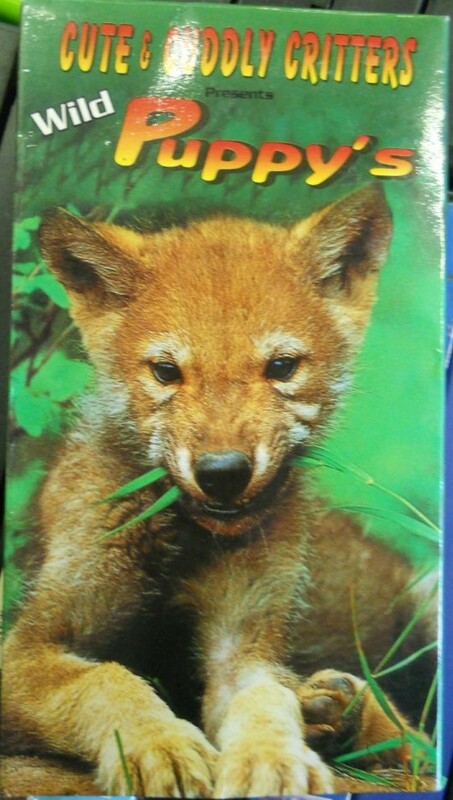 Bradley visited two photo stores in one day and found that neither of them could use apostrophes properly. The first one missed the apostrophe in world's. And the second one added an errant apostrophe to iPads. Bradley concludes that one could argue that the second example could be a contraction, but it's probably just an error. I concur. As I know all too well, Tommy Doyle's has two locations in Cambridge. Last Friday night, I told some friends to meet me at the Harvard Square location for a free-beer event, but it turned out to be in Kendall. Sorry, guys. Anyway, I'd been meaning to take a photo of TD's poorly punctuated sign for a while, but it would never come out right on my dumbphone. Thanks to someone else's iPhone, I finally got a clear shot of it. Theoretically, this sign could say Tommy Doyle's Irish Bars, or, if there was more than one guy named Tommy Doyle, it could be Tommy Doyles' Irish Bar. But there has to be an apostrophe in here somewhere. Thanks to Ben for taking this photo for me! Karen sells a variety of bits and bobs, but she's giving out apostrophe catastrophes for free. It's too bad that Karen ruined a quaint expression with punctuation errors. Thanks to Chris in Walthamstow, England, for sending in this triple catastrophe. 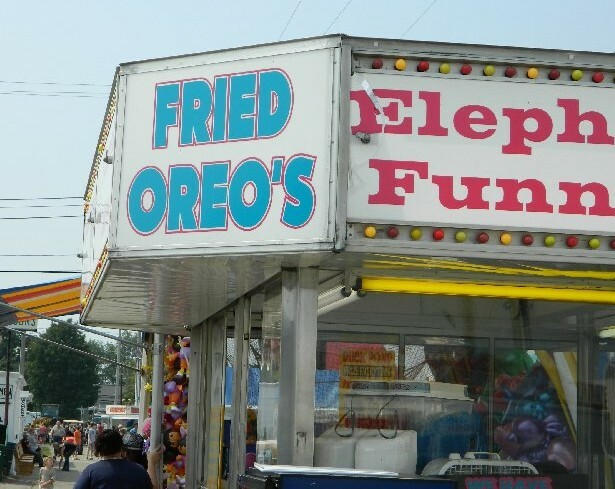 J. spotted a fattening apostrophe catastrophe at the Great Geauga County Fair (Ohio). I have to admit that I ate a bunch of chocolate-covered potato chips last week at work (damn you, coworkers! ), but even I would not eat deep-fried Oreos. Thanks, J! Visit her blog here. 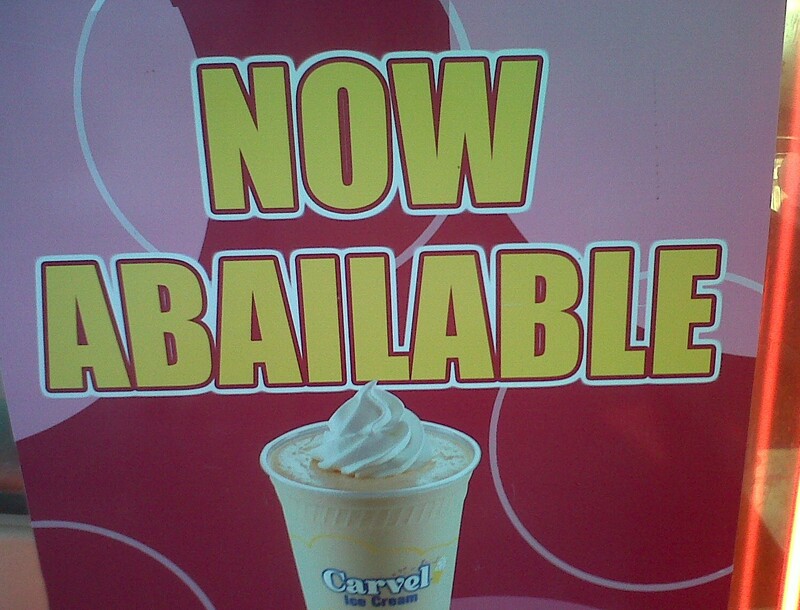 I don't normally post spelling errors, but this one, which Nick spotted at a bodega in New York City, was so shockingly bad that I couldn't resist. 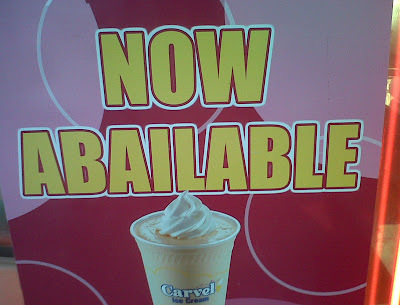 It's such a ridiculous misspelling that my first instinct was that it must be some sort of bad pun from Carvel's marketing department. But Nick swears that it's just a spelling error. Check out Nick at CityBeams.com. 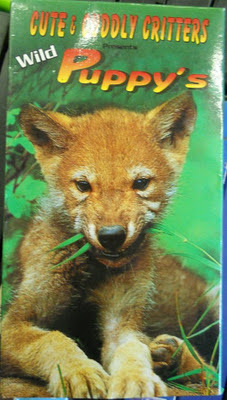 Russ spotted this (understandably) abandoned VHS tape at Goodwill. I wonder if this video is made by the same people who produced this cat-astrophe. Massachusetts has seen it all in the past year. We've had several blizzards, a hurricane, an earthquake, and worst of all, a tornado! The twister caused some serious damage in central and western Mass. Adding insult to injury, this fundraising t-shirt features an apostrophe catastrophe. Thanks to Danielle for sending in this catastrophe. Let's hope the rest of 2011 is a little calmer, weather-wise. My coworker Paul sent me this apostrophe catastrophe from Waltham, where he says finding punctuation errors "is like shooting fish in a barrel." So was coming up with the headline for this posting. 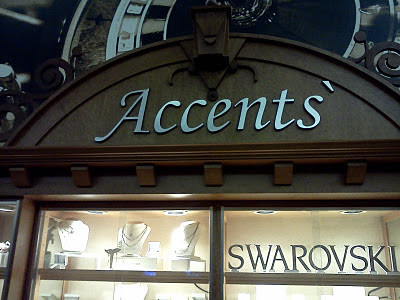 Rae took a photo of this store in Horseshoe Casino in New Albany, Indiana (near Louisville). She writes, "I can't decide whether it's a misplaced accent, an errant apostrophe, or perhaps a lazy prime number mark." Regardless of its intentions, this is the worst accent catastrophe since since Julianne Moore on 30 Rock. 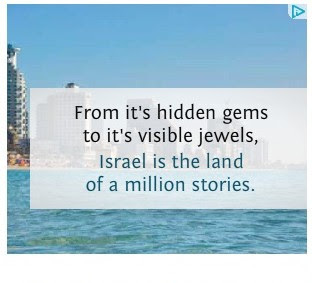 Just in time for Yom Kippur, here's an apostrophe catastrophe from the Holy Land. Whoever messed up that ad should be racked with guilt. Sure, last year I ate a cheeseburger club on Yom Kippur and a lobster roll on Passover. And I'm 30 and not yet married to a doctor. But at least I use proper punctuation. Thanks to Andrew in London for sending in this catastrophe. L'chaim!